3D Systems has been acquiring companies left, right and center for the past few years, which has resulted in a large number of brands coming under the parent 3D Systems brand. Too much of a good thing is bad and the same holds true with brands as well, unless you know how to manage them properly without causing confusion in the minds of your customers, present and future. This is why companies integrate/blend/merge brands together after they acquire them. Today 3D Systems did that with Alibre Design, the CAD system they inherited through the acquisition of Alibre. 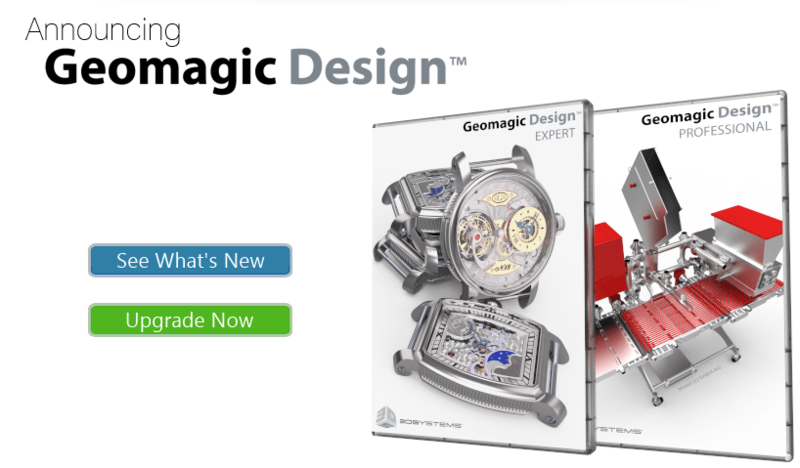 Alibre Design has been re-branded as Geomagic Design, and is now part of the well known and respected Geomagic brand that was inherited through the recent acquisition of Geomagic. Today if you visit www.alibre.com you will be greeted with this image on the home page. I think this is a smart move by 3D Systems. For a long time Alibre has promoted itself as a “cheap” alternative to SolidWorks, which in fact it is. And I say that in a good way. There are many who don’t need the advanced features of a mid range MCAD system like SolidWorks and Alibre Design is perfect for them. However, if the messaging of a product is largely focused on its low price, it tends to have a negative effect on the brand in the long run. Everyone likes cheap flight tickets. But a cheap CAD system isn’t doesn’t always stir up the same thoughts and opinions. At 3D Systems we are committed to improving and democratizing access to powerful and affordable 3D software solutions for the benefit of professionals and beginners alike. A key part of that commitment is to combine the Alibre products and team into the 3D Systems Geomagic group and an initial step is that we have rebranded Alibre Design products as Geomagic Design. This means that the software will now be a core part of a much larger, yet highly experienced, software operation, making available additional support, development and training resources. It also means that the Geomagic Design products will ultimately be able to benefit from the other interesting and game-changing technologies in the Geomagic group that deliver 3D haptic modeling, reverse engineering, scanning, and inspection software. I have been part of the Alibre Design 2013 beta program and its very clear that the focus of the development efforts for the last year has largely been on fixing the product. Alibre Design has its quirks and like every CAD system, or any piece of software for that matter, they have accumulated to a point where the wish list turns into a wish heap. Small seemingly insignificant stuff gets pushed down the priority list in favor of “more important” stuff and they turn into irritants that users have to live with. In every complex software product’s life cycle its always good to stop once in a while, conduct a critical analysis of the product and dedicate a significant portion of time and resources to go back and fix the lingering issues. 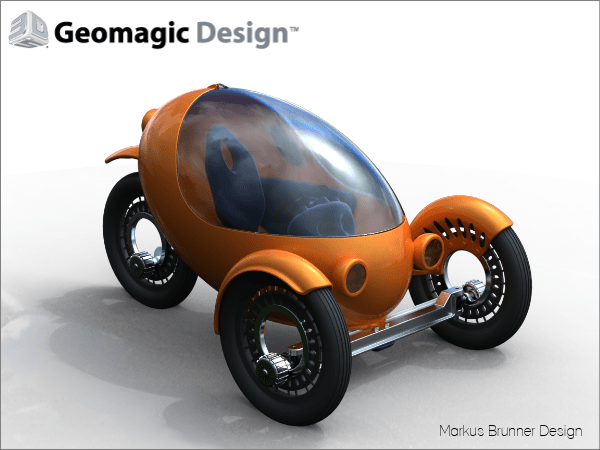 This is what the folks at Alibre did for the past year and came up with Geomagic Design 2013, which was released today. They could do that because they had the luxury of being part of a large organization like 3D Systems that could afford them the time and resources to do so. I think the acquisition of Alibre by 3D Systems is probably the best thing that could have happened to Alibre Design, the MCAD product. And now with amazing technologies from Geomagic and Rapidform, the product is only going to improve in leaps and bounds.